My border collie Sable, fishing, marine science, kayaking, hiking, and ATV. I am home in Kodiak and I love my job with the Marine Advisory Program! More than any other, this position draws on all my experiences and allows me to creatively share my talents with the Kodiak archipelago. Stevens, B.G., Persselin, S.L., & Matweyou, J.A. 2005. Cultivation of blue king crab larvae, Paralithodes platypus: Effects of diet, temperature, and density. Larvi '05 - Fish & Shellfish Larviculture Symposium. European Aquaculture Society, Special Publication No. 36. p 485-488. Oostende, Belgium. Plumley, F.G., J. Matweyou, and R. RaLonde. 2003. 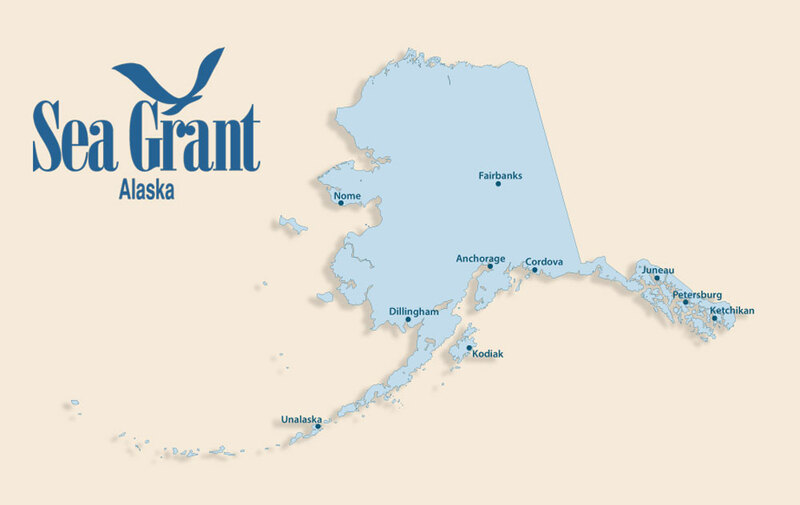 Harmful algal blooms in Alaska. In: Ecosystems Considerations for 2004. NPFMC Bering Sea/Aleutian Islands and Gulf of Alaska Stock Assessment and Fishery Evaluation (SAFE). Matweyou, J. A. 2003. Paralytic Shellfish Poisoning: The Relationship between Alexandrium abundance and PSP toxins on Kodiak Island, Alaska. M.S. Thesis. University of Alaska. Matweyou, J. A., Stockwell, D.A., Scholin, C.A., Hall, S., Trainer, V.L., Ray, J.D., Whitledge, T.E., Childers, A.R. & Plumley, F.G. 2004. Use of Alexandrium rRNA Targeted Probes to Predict Paralytic Shellfish Poisoning Events on Kodiak Island, Alaska. Steidinger, K.A., J.H. Landsberg, C.R. Tomas, and G.A. Vargo (Eds.). 2004. Harmful Algae 2002. Florida Fish and Wildlife Conservation Commission, Florida Institute of Oceanography and Intergovernmental Oceanographic Commission of UNESCO. p 267-269. Matweyou, J. A., Stockwell, D.A., Scholin, C.A., Hall, S., Trainer, V.L., Ray, J.D., Whitledge, T.E., Childers, A.R. & Plumley, F.G. 2002. Use of Alexandrium rRNA-Targeted Probes to PSP Events on Kodiak Island, Alaska. Xth International Conference on Harmful Algae, St. Pete’s Beach, FL. Poster presentation. Weeks, S.C., Crosser, B.R., Gray, M.M., Matweyou, J.A. & Zucker, N. 2000. Is there sperm storage in the clam shrimp Eulimnadia texana? Invertebrate Biology 119(2):215-221.